Choices are available with natural and colored broom straw and color of cording. Length of broom: 30 inches. 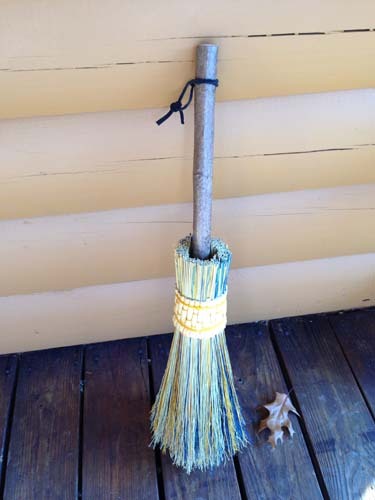 This beautiful and handcrafted Appalachian broom straw hearth broom is decorative as well as functional. 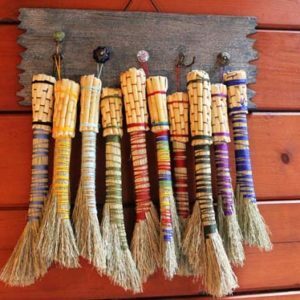 The broom straw is hand-dyed and attached to a natural wooden handle with strong nylon cording. Choices are available with natural and colored broom straw and color of cording. 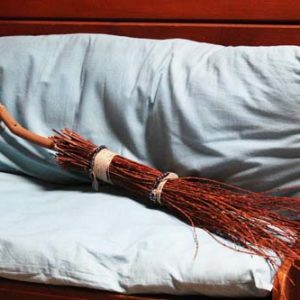 Length of broom is 30 inches.